As the saying goes, regulation follows innovation like hangovers follow a night out. As automated decision making systems become more prevalent across different industries they are causing governments around the world to pay more attention to how they should be regulated. Although AI systems can be quite valuable in business and our daily lives - in areas such as autonomous vehicles or assisting medical diagnosis, they have the potential to impact us in unforeseen ways. It is one thing for Netflix to know that we like romantic comedies or Facebook to recommend articles for us to read, but what happens when there are decisions made by predictive risk models about whether we should get a loan or if someone is to be granted parole. How can we be sure that those decisions are made fairly and without bias? Over the last couple years, work has started around the globe to evaluate the potential approaches to regulating AI and Machine Learning implementations as well as what rights people have in relation to them. Daniil Ivshin will talk to us about the how governments in NZ and internationally are discussing laws relating to AI and Machine Learning and possible impacts. Daniil Ivshin holds an MBA with a focus in Strategy and has over 15 years experience in helping companies figure out what to do with their data. 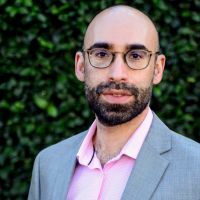 From designing KPIs and scorecards to making sure data flows to where it can do the most good, he's been involved with many industries and types of business, wherever data lives. Most recently, Daniil has been working with Callaghan Innovation to help NZ companies make the best use of advanced data science techniques to improve their business and products. 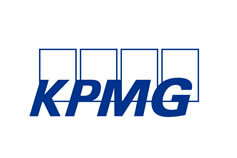 The Wellington ITP Branch wishes to thank KPMG for providing the venue and light refreshments!